Hello guys, I hope you all had a lovely weekend. I spent mine with my family, like almost every weekend. 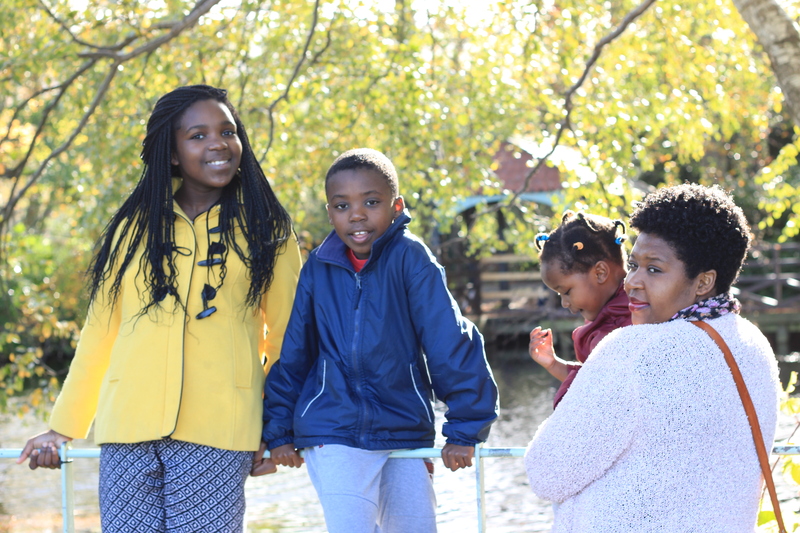 On Saturday, we went to a long walk in Marley park in Dublin. Due to the windy and rainy weather, we stayed at home on Sunday for indoor activities : reading, playing, listening to music, and obviously a good reason for baking some delicious cookies, les sablés . 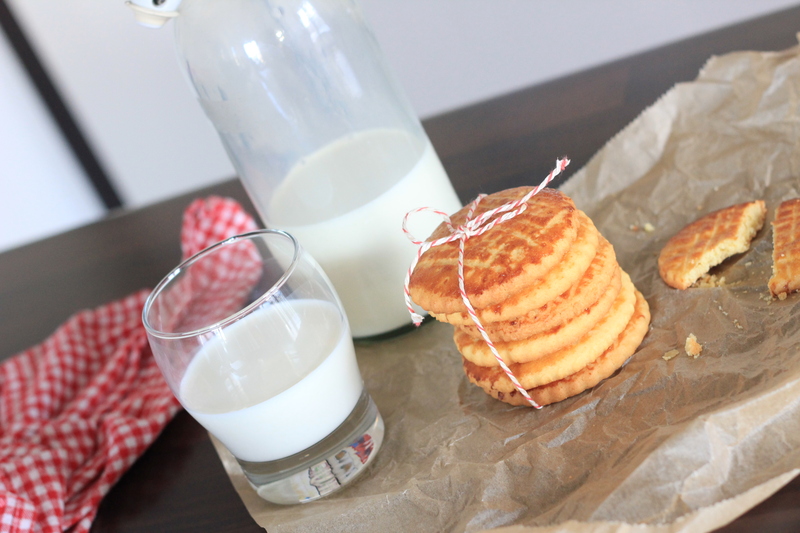 Les sablés are very buttery French cookies. In English baking terms, sablés means breadcrumbs, because at the start of the recipe, you rub the cold butter, flour and sugar together to make a texture like breadcrumbs. 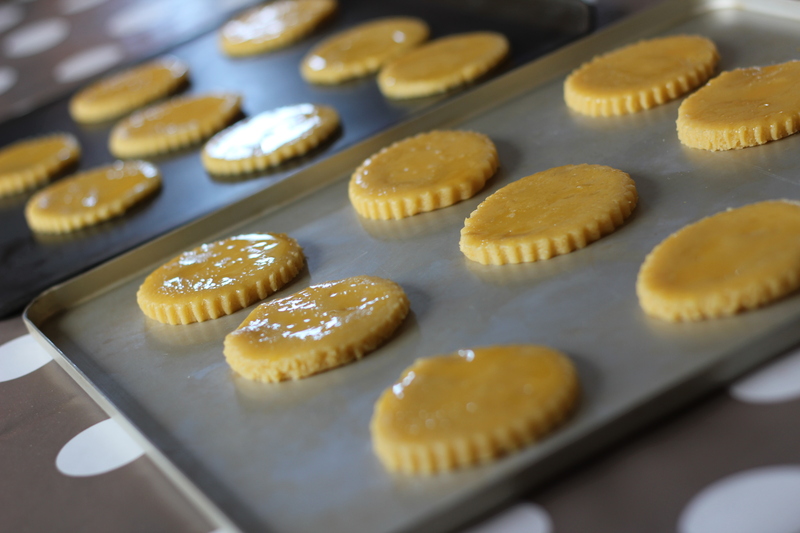 To have beautiful cookies, I glaze them with a mixture of egg yolk and golden caramel. In a pan, put the sugar, the 4tsp water and lemon juice, place the pan over a gentle heat and stir until all the sugar is dissolved. Bring to a boil and let it boil until bubbly and a beautiful caramel colour. Advice : be patient and very careful to not burn the caramel. When you reach the colour, plunge the base of the pan into a bowl of cold water to stop the cooking, and then stir the 50ml water in the pan, stir until all the caramel is dissolved. Set aside to cool. -Preheat the oven to 180 degrees Celsius. -In a bowl, sift the flour and the salt, then sift the icing sugar and mix well. 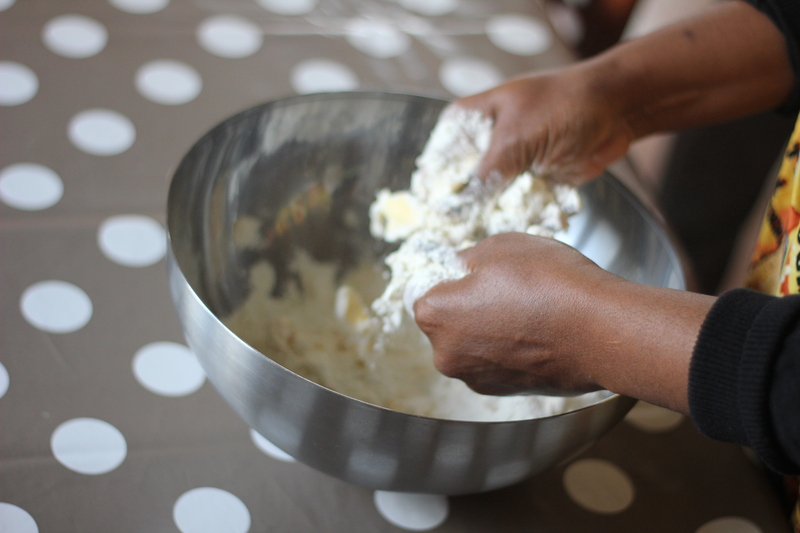 Put the cold butter in the flour-sugar mixture and rub with your fingertips until you have a texture like breadcrumbs. -In another bowl mix 3 egg yolks with vanilla and pour over the dry ingredients. Stir until the mixture begins to come together as a firm dough(if you feel that your dough is too wet, add flour, little by little) then wrap the dough in cling film and chill for 15 to 20mn. -Roll the dough out between 2 pieces of baking parchment to a thickness of 5mm. 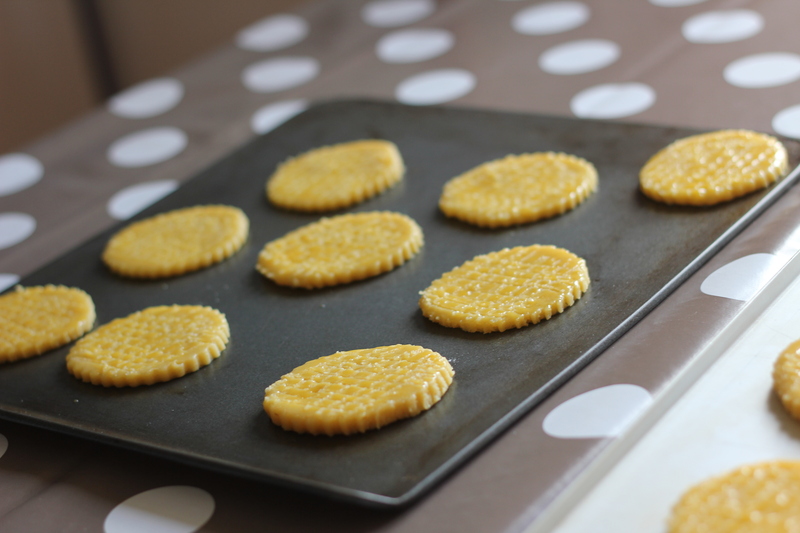 Using a 6.5cm fluted cookie cutter to make the cookies, and place them on baking sheets(you can also use a small cookie cutter, but be careful with the cooking time). -In a bowl, beat the last egg yolk with 1 tbsp of caramel, then brush over the cookies, leave to dry, then apply a second layer. With a fork, prick the cookies, then mark in a checked pattern by dragging the tines of the fork over the caramel glaze. Bake for 10 to 15mn, or until crisp and golden brown. Serve with a glass of milk, a cup of tea, hot chocolate…you have just made your day. Inspired by « cookies » by Catherine Atkinson. I am looking forward to know how this recipe went for you, or if you have any suggestion?